GHGSat has announced a $10 million Series A2 financing led by OGCI Climate Investments. The GHGSat-D during testing. Photo is courtesy of GHGSat. Building on GHGSat’s achievements in detecting and quantifying greenhouse gas emissions from industrial facilities around the world, the company will use the new capital to accelerate commercialization efforts, expand its custom analytics services for its growing customer base, as well as fund the launch of an additional GHGSat satellite. GHGSat’s Series A2 funding round includes financial backing from OGCI Climate Investments, Schlumberger, Space Angels, and the Business Development Bank of Canada. To date, GHGSat has raised over $20 miilion, including financing from the governments of Canada and Alberta. 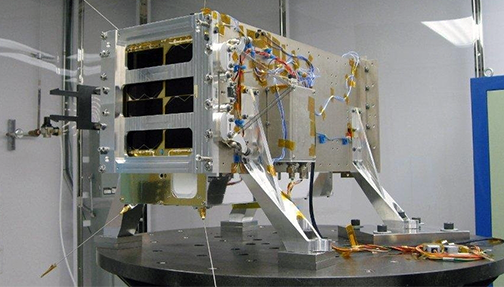 In 2016, GHGSat launched the world’s first satellite designed to measure greenhouse gas emissions from industrial facilities around the world. This demonstration satellite will be followed starting in 2019 by two new satellites, as well as an aircraft sensor. GHGSat uses its technology to offer emissions monitoring and measurement services to several sectors, including oil & gas, power generation, mining, waste management and agriculture. Stéphane Germain, CEO of GHGSat, said this funding accelerates the commercial deployment of the firm's service by growing the company's team and adding both capability and capacity. It also secures access to some of the largest customers in the world for GHGSat services.